Prizes Everyday Win Adam Hills: Clown Heart DVDs! 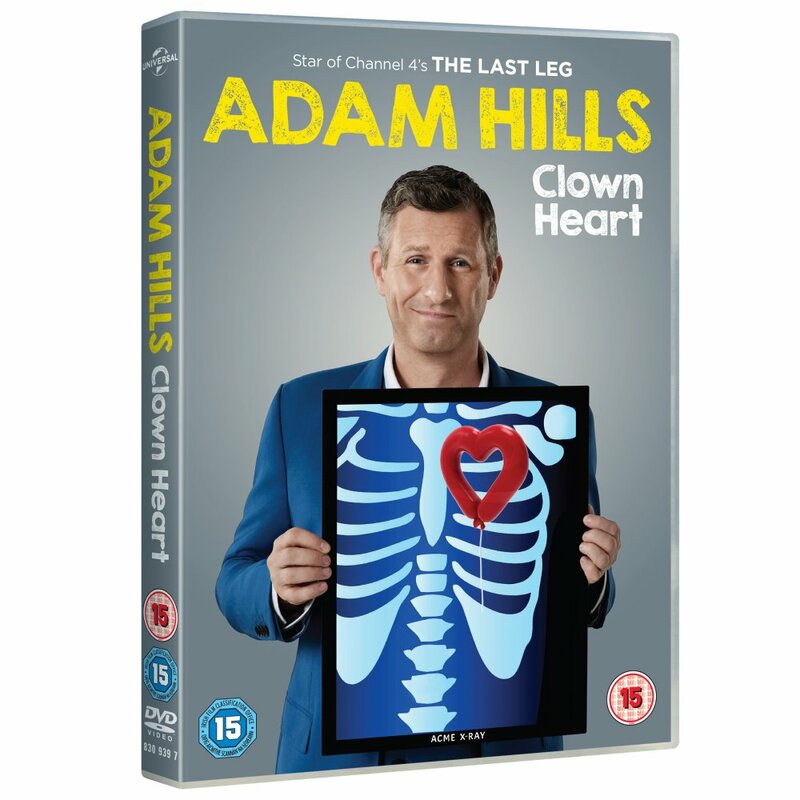 Win Adam Hills: Clown Heart DVDs! Take a trip with Adam Hills and his sell-out crowd at London’s Hammersmith Apollo to the Clown Heart of comedy as he releases his brand new live stand up DVD this November. ADAM HILLS: CLOWN HEART sees the affable BAFTA nominated comedian and host of The Last Leg make a welcome return to the stand up stage, delivering mischievous and wholehearted comedy that has become his trademark. CLOWN HEART proves once again why Adam Hills is one of Australia’s most loved exports and it’s sure to be the perfect present for any comedy fan this Christmas.. His combination of positive, uplifting comedy and dynamic spontaneity has seen him receive numerous awards, glowing reviews and a legion of fans around the world. In this live recording, Adam and his willing audience journey deep in to modern life tackling everything from health, diets and exercise to parenting, relationships and mortality, with some very special guests joining him along the way. Adam embraces life with his inimitable positivity, laughing in the face of disaster. Don’t miss your chance to sit back and witness the action for yourself as ADAM HILLS: CLOWN HEART is released on DVD and Digital Download on Monday 20th November 2017, through UPHE Content Group. As host of Channel 4’s groundbreaking The Last Leg (with Josh Widdicombe and Alex Brooker), Adam has become one of the most respected comedians and TV presenters around. Adam and The Last Leg have gained much acclaim, winning countless awards and nominations across twelve series. 2017 alone has seen the programme go on to win ‘Best Entertainment Performance’ at the Royal Television Society Awards, ‘Best Entertainment Show’ at the Broadcast Awards plus nominations for two BAFTA’s and a NTA Award. The Last Leg is now in its twelfth series and on air until December 2017. Other notable UK TV appearances include; co-host of Channel 4’s Stand Up To Cancer alongside Alan Carr and Davina McCall in October 2016, host of Celebrity Fifteen to One (Channel 4), Mock The Week (BBC1), Alan Carr Chatty Man (Channel 4), Loose Woman (ITV1), Never Mind The Buzzcocks (BBC2), The Jonathan Ross Show (ITV1), Channel 4’s Comedy Gala Live At The 02 (2013 & 2014) and The One Show (BBC1). ADAM HILLS: CLOWN HEART is produced by Open Mike Productions and released by UPHE Content Group. 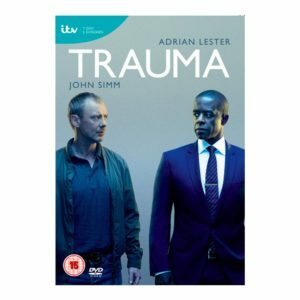 Executive producers are Andrew Beint, Joe Norris and Helen Parker, Associate Producer is Amy Dillon with Anthony Caveney producing and Paul Wheeler as director. 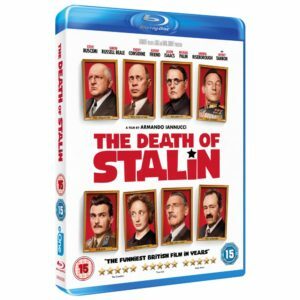 We have three DVDs to give away!